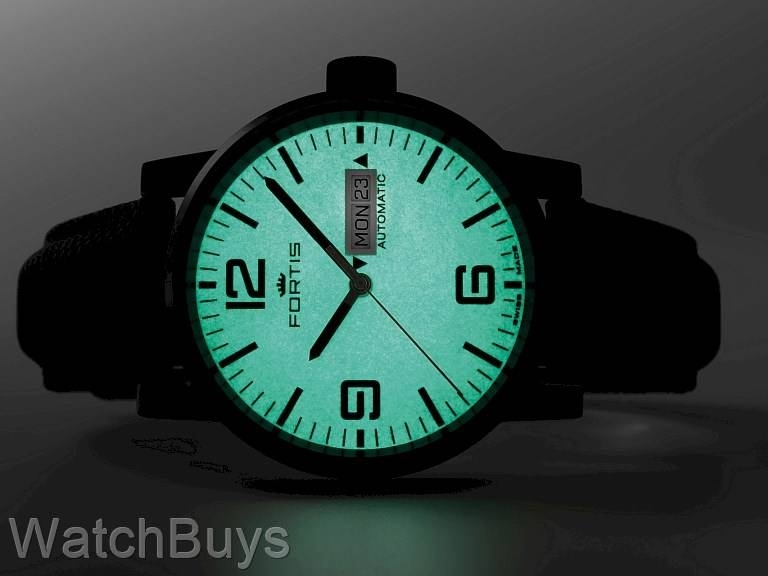 Fortis didn't officially name the Spacematic line until the 1970's, but its roots go back a decade further to the US Gemini Astronauts, who wore some of the first Spacematic watches on their missions. The Fortis Spacematic Stealth White is housed in a matte black PVD 40 millimeter case, with black accents on the dial. Numerals can be found at 12, 6, and 9. The numeral at 3 has been omitted to make room for the dual language day/date display - which can be quick-set through the crown. Black minute and hour hands are distinctly defined against the white dial. 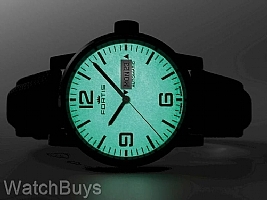 The entire dial is coated with SuperLuminova with a green night glow creating an interesting effect against the black hands. An orange seconds hand is impossible to miss with high contrast to the dial. 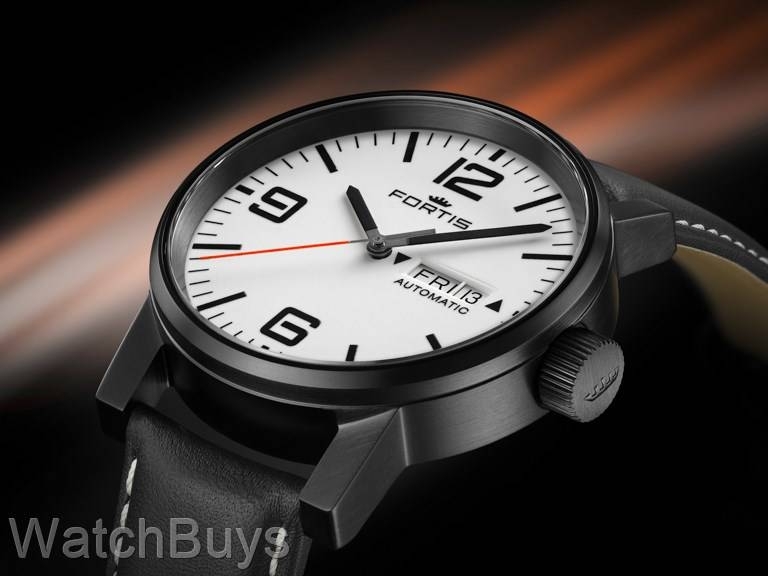 This watch is fitted with a black Fortis Performance strap with black stitching.